Created in 1976 for the U.S. Bicentennial, Liberty State Park is as large as New York's Central Park but is far less developed. It is a prime waterfront location that draws 4 million visitors a year to experience the many world class park attractions. 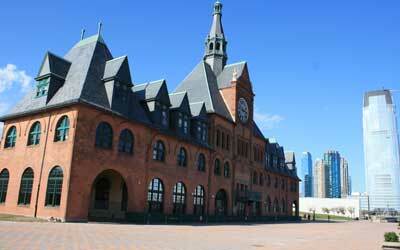 Liberty State Park is the crown jewel of urban northeast New Jersey's parks. With a huge variety of outdoor activities and world class scenic views of the Manhattan skyline, the Statue of Liberty and Ellis Island, Liberty State Park is one of the state's most treasured recreational parks. 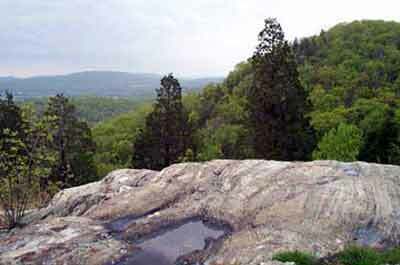 The huge park has 1,122 acres of open space with 300 acres developed for public recreation. The park is easy to access via car, bus or light rail. The main road through the park is Freedom Way that cuts through the center and serves as a barrier between the area closed to the public to its west and the area that is open to the public to its east. Connects with the major attractions,bike paths, walkways, and fields. A two-mile walking, jogging, biking, and roller-blading path along the waterfront with awesome backdrop of panoramic views of lower Manhattan skyline, Ellis Island and the Statue of Liberty. 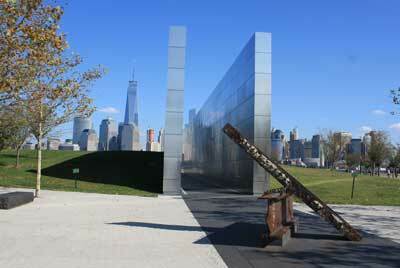 The pathway connects with picnic areas, The "Empty Sky" 9/11 Memorial , The Interpretive Center, and the CRRNJ Terminal. There is also a "Get Fit" with the par course that runs alongside Freedom Way. From Liberty State Park you can just simply take in this awesome view strolling along Liberty Walk or for an in depth experience, take a ferry to the Statue from Liberty State Park. 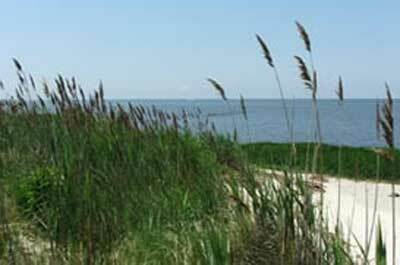 Located on Liberty Island, this 12 acre island is located just 2000 feet from Liberty State Park. The Statue of Liberty actually lies in the State of New Jersey, retaining the riparian rights to all the submerged land surrounding the statue. For a relaxing outing, you can enjoy the view by picnicking at the southern end of the park located near the Administration building. Picnic tables are provided with magnificent views of the harbor and skyline. This is the official State of New Jersey's Memorial that honors the memory of the 749 people that lived in or had ties to New Jersey that lost their lives at the World Trade Center on September 11, 2001. The names of the deceased are engraved on the twin brushed stainless steel walls, and are within reach and engraved deep enough for hand rubbing. Twin walls divide a gently sloped mound with a granite path heading toward Ground Zero. The length of each wall is exactly equal to one side of the former World Trade Center Towers with the height of the wall reflecting the proportion of the former buildings as if they were lying on their side. The seven hundred and forty nine (749) victims’ names from the State of New Jersey face one another on the interior elevations of the twin stainless steel walls within easy reach. The walls channel visitors to the location in the Manhattan skyline where the former World Trade Center towers once stood. The low, grassy raised bank surrounding the walls gently rises to ten feet and then gradually returns to the level of the promenade creating an amphitheater-like incline that faces Lower Manhattan. Patches of weeping cherry trees atop the raised bank reinforce the panoramic views of Lower Manhattan and the harbor. Like the World Trade Center, the stainless steel reflects the constantly changing light of day. The memorial invites visitors to literally and metaphorically look toward the empty sky in memory and look forward as a community. Located in the northern section of the park, this historical rail terminal played a key role in the early days of New Jersey's transportation history. The (CRRNJ) Terminal was opened in 1864. Constructed primarily on landfill from New York City and ballast from ocean going vessels. 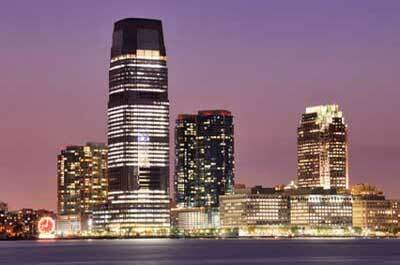 At that time in history, the CRRNJ Terminal provided both an easy route across the Hudson and a gateway to the ocean. From 1892 through 1954, the CRRNJ Terminal stood with the Statue of Liberty and Ellis Island to unfold one of this nation’s most dramatic stories: the immigration of northern, southern and eastern Europeans, among others, into the United States. After being greeted by the Statue of Liberty and processed at Ellis Island, these immigrants purchased tickets and boarded trains at the Terminal that took them to their new homes throughout the United States. concourse at scheduled intervals as each phase of the overall restoration permits. 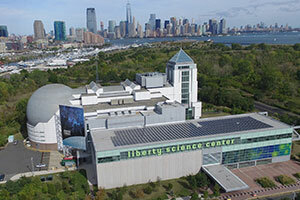 Located in the western section of the park, Liberty Science Center is an interactive science museum with 100s of fun exhibits. Families can enjoy live animal presentations, real hands-on labs, science shows, indoor Tesla Coil lightning shows, and more! Bicycles can be rented on an hourly and daily basis at the US Flag Plaza located near the Park Office at 200 Morris Pesin Drive, Jersey City. A great inexpensive way to enjoy a day with the family You can picnic at one of the many playgrounds. Barbecues are allowed. You must supply your own grills (charcoal, not propane). Located on the waterfront, there is always a nice breeze for flying a kite. Not enough, want to do more, there are spots where you can go fishing or crabbing, boating or kayaking. The park is active place for festivals, concerts, and other cultural happenings, and offers a great view of the fireworks displays over the water on the Fourth of July. They are especially of interest to people looking for fun, discovery, education, and excitement. Popular attractions and places to visit are here to help you plan a a day trip, weekend getaway, or a week long vacation to "get away from it all".